Across the Threshold of India. 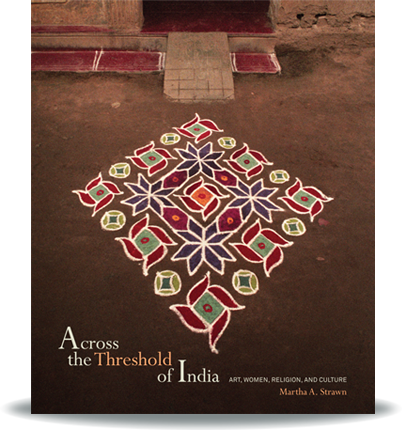 Martha Strawn presents her latest book about the sacred Hindu practice of threshold drawing. In the Hindu world-view, threshold is a profoundly important concept that represents a passage between one space and place and another, creating a visual bridge between the secular and the sacred. Accordingly, the literal threshold a person crosses when entering and exiting a home or business symbolizes the threshold one crosses between the physical and spiritual realms of existence. Hindus have long believed it is possible to affect a person’s well-being by using diagrams to sanctify the “threshold space.” The diagrams do so by “trapping” ill will, evil, bad luck, or negative energy within their colorful and elaborate configurations, thereby cleansing those who traverse the space and sending them on their way with renewed spirit, positive energy, and good luck and fortune. 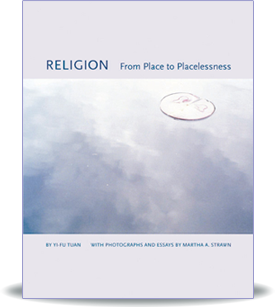 Martha A. Strawn is Professor of Art Emerita at the University of North Carolina in Charlotte who has long been recognized for combining aesthetic and scientific inquiries into the study of place that she calls visual ecology. She co-founded The Light Factory Contemporary Museum of Photography and Film in Charlotte and was a Fulbright Fellow to India and a National Endowment for the Arts Fellow in photography. Her photographs have been exhibited worldwide, including the Indira Gandhi National Centre for the Arts, Smithsonian Institution, Princeton Art Museum, National Geographic Society Museum, Mint Museum of Art, and Carnegie Museum of Natural History. 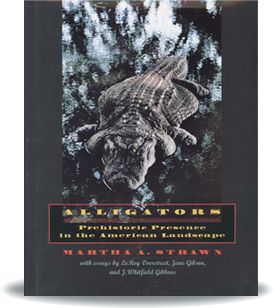 She is the author of Alligators, Prehistoric Presence in the American Landscape (1997) and, with Yi-Fu Tuan, Religion: From Place to Placelessness (2009).